The Calvin College Gospel Choir is “not just” a choir; it’s a worship experience. The Calvin College Gospel Choir has been labeled as the most diverse musical ensemble on campus. It is an enthusiastic, engaging, upbeat inspirational ensemble, comprised of persons from various locations, races, and creeds. The Gospel Choir offers musically talented individuals the opportunity to form an encouraging community reflective of the diverse interests and ethnicities within the college community. The choir’s mission is to proclaim the word of God and hope in song, uniting believers for this common purpose. While fulfilling this mission, the choir represents Calvin College and its varied worship styles. The repertoire consists of spirituals, African music, anthems, contemporary, jazz, and African-American gospel music. The Calvin College Gospel Choir also provides a forum in which gospel singers and musicians are able to transcend cultural differences. Along with American English, the choir sings in Spanish, Korean, and African languages. This choral ensemble draws from diverse academic programs and musical skills. The Calvin College Gospel Choir is open to all students, staff, faculty, and alumni of Calvin College. Gospel Choir is a vehicle for ministry, which educates and supports diversity outreach and minority recruiting efforts. It adheres to the From Every Nation document, set forth by the Dean of Multicultural Affairs and the Multicultural Academic Committee at Calvin College. Embracing, encouraging and acknowledging the rich culture of the African-American heritage, through various genres and styles, perpetuates growth and continued success of the choir’s mission. Gospel Choir rehearses on Tuesdays and Thursdays from 5:30-6:45 p.m.
Calvin College Gospel Choir is an ensemble of more than 100 vocalists drawn from diverse academic programs. Along with participating in events on campus, Gospel Choir travels off campus each semester and has participated in community events such as “Gospel Night at the Symphony, ” as well as enriching church worship services. Gospel Choir had its beginnings in the 1980’s as a student-lead organization under the direction of Scott Davis. Later directors included Debra Perry and Dorcas Jones. The choir sometimes exceeded 150 students, who rehearsed once or twice a week and were required to attend services at churches with gospel choirs at least twice a semester (and turn in church bulletins to prove attendance). The choir toured during interim, held a concert each semester, annually hosted the inter-collegiate Gospelfest, and sang at five or more churches each semester. In 2003 Gospel Choir toured in Ghana, working closely with the University of Ghana while there. Gospel Choir was featured in the spring 2004 issue of The Light Walk Christian Magazine in an article highlighting college gospel choirs. In 2013, Gospel Choir will travel to Argentina. Gospel Choir has been under the direction of Calvin Professor Dr. Charsie Sawyer since 1996, and endeavors to present the glory and word of God through traditional spirituals, African music, and contemporary gospel music. Auditions will be the first week of school for singers and musicians September 8-10, 2015 from 2:30-5:00 p.m. A sign up sheet with time slots for auditions will be posted outside of CF #179, where the auditions will be held. Calvin College Gospel Choir is open to students, faculty, staff and alumni who have a desire and the ability to sing gospel music. We ask that singers have at least one year of gospel, jazz or popular music experience, and can make a one-year commitment to the group. How do I plan for the audition? Singers, prepare a gospel song, spiritual, or hymn. A pop or jazz song is also acceptable to demonstrate the quality of your voice. This should be a song that you know well and feel comfortable with. You may sing a cappella or with your own sheet music - accompaniment will be provided. If you prefer to sing with an accompaniment track, you may do that also. Please call to set up an audition. You will be given music and or a recording prior to the audition to present during the audition. Please call (616) 526-6823 or email Dr. Sawyer to set up an audition time. 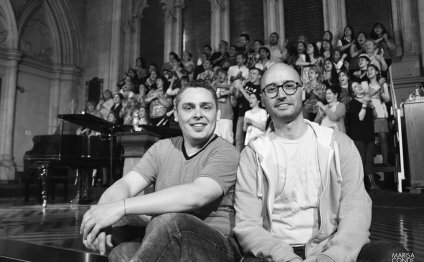 A one year commitment to the choir to come prepared and attend rehearsals as a professional.